Time goes by fast and already Tuesday. Have you looked at the new releases from Tutti Designs lately? 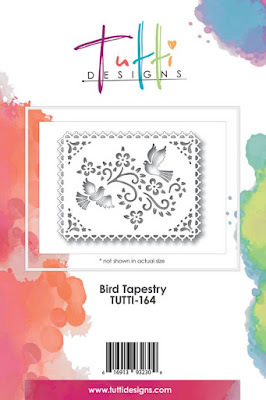 Isn't this Tutti Designs Bird Tapestry a gorgeous die from their new releases? This die could be used for a variety of occasions on your cards and projects. 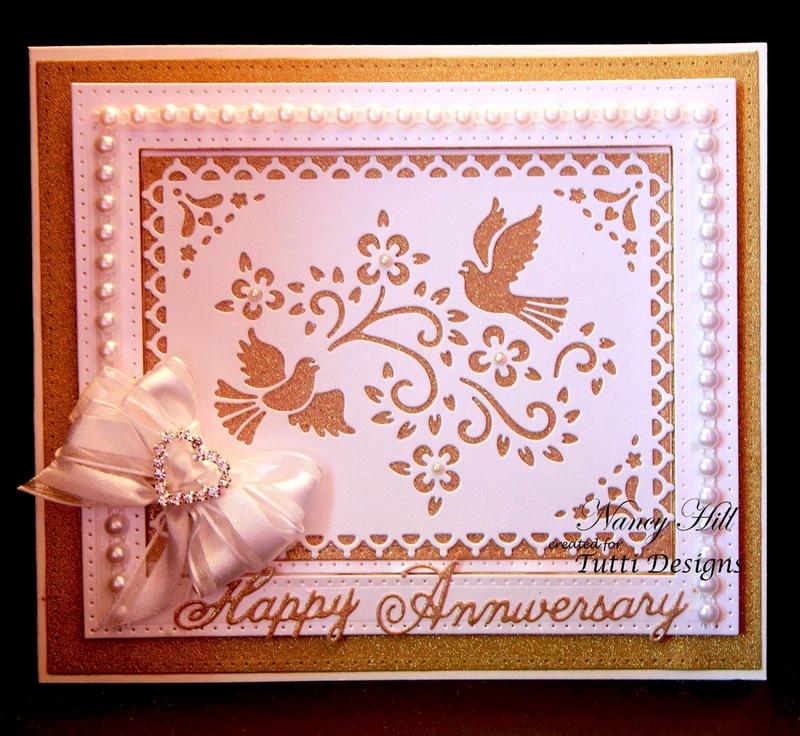 I decided to make an anniversary card with this die but I can think of the endless possibilities of what to do with this die. I would imagine that you already have some ideas and plans on how you will use this die for your cards and projects. I just cut out this die using some shimmer white card stock and used gold glitter card stock behind the die cut. I added 3mm flat back pearls to the flowers and 6mm flat back pearl string to the out side frame with a bow on the corner and a rhinestone ribbon buckle slider to the bow.